Imagine that you are sitting in your car, driving down a nice, safe road. You decide to sit upright so that your back is no longer resting on the back of the seat. You are holding the steering wheel lightly and you feel stable – the name of the game here is to not let your back touch the seat. I would like you now to imagine what would happen to your body if you were to press hard on the accelerator. For obvious safety reasons I do not recommend this experiment to anyone, but what I find is that if I do not ‘do something’ to prevent it, I will be left hanging onto the steering wheel attempting to keep my back from touching the seat. Similarly when an airplane accelerates down the runway, you would also have to work hard to prevent your body from being pushed back into the seat. Now translate this to asking the horse to accelerate, perhaps by creating more impulsion, going from walk to canter or performing medium or extended paces. We are now in exactly the same situation and we must do something to prevent ourselves from hanging onto the ‘steering wheel’ and/or getting left behind. To keep up with the horse and remain independent of the reins I have to provide a force from the back of my body to the front of my body. This keeps me in charge of the position of my centre of gravity. I will have to feel as though I push the back of my body up towards the front of my body and the front of my body forwards towards my hands. I will need to engage my core muscles to achieve this. I will need quite a lot of tone! Relaxing in this situation would not help me one iota. People talk as if relaxed and tense are a binary state – you are either one or the other. 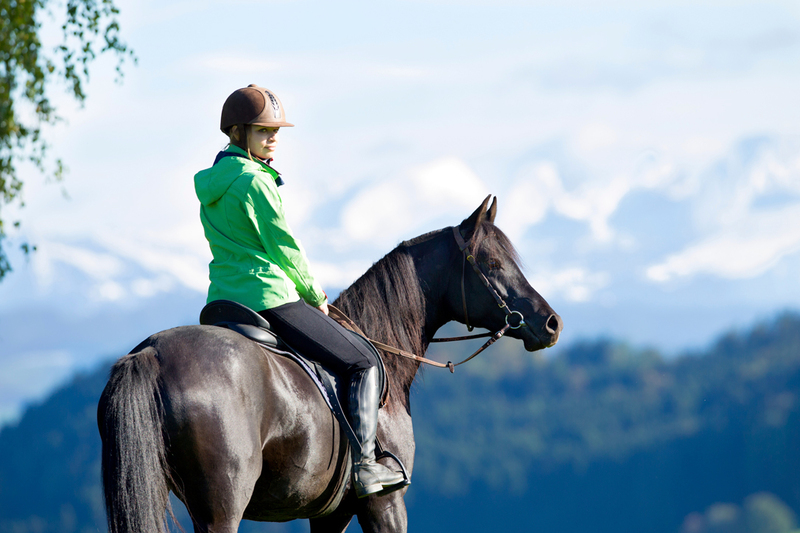 However matching the forces generated by the horse requires a good deal of tone and core strength. 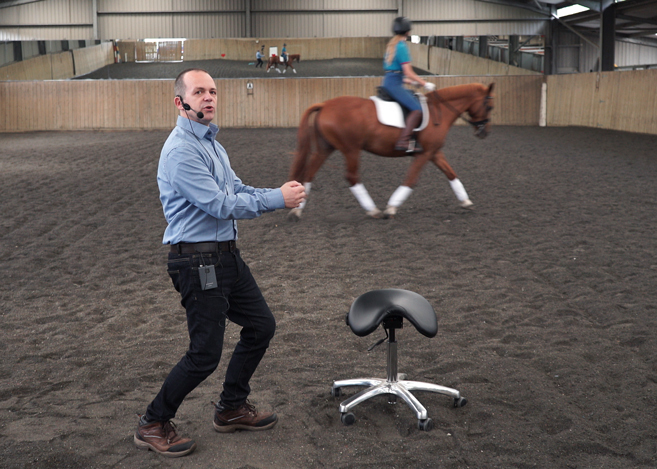 The amount of which will vary from horse to horse, and movement to movement but in the end we need to talk about tone and where that tone is in the body, not whether or not a person should simply ‘relax’ or be ‘tense’.